A Unique Seattle Holiday Experience! The Spirit is Argosy’s lead ship. This is where all the action takes place throughout the cruise. There are a few different departure piers throughout the Seattle—downtown’s Pier 54, Lake Union, the Shilshole Marina in Ballard and the Leschi Marina. Here you’ll be able to take photos with Santa before boarding the ship. The main ship also offers a variety of activities for kids including Santa reading T’was the Night Before Christmas. There are also two performances by an on-board choir. In addition, a full- service bar has drinks and snacks for purchase. 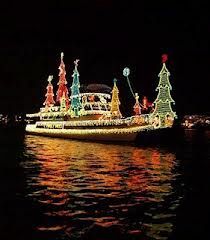 The main ship cruises tend to sell out fast, but you can also experience the festivities aboard a follow ship. These ships offer the same cruises as the Spirit of Seattle but do not feature all the activities that the main ship offers. In the follow ship, you will be sailing behind the main ship and will still get to experience all the dazzling lights and hear the Christmas choir performance emanating from the main ship’s sound systems. The follow ship cruises also feature a bar and snacks for sale and these cruises are usually less expensive. You can board these ships at Pier 55 which is along the Seattle waterfront. This pier is super convenient and located a short uber ride or walk from our Belltown and downtown properties. There are also a lot of restaurants in the area, such as Elliott’s Oyster House and Ivars Acres of Clams to enjoy lunch or dinner before embarking on your holiday cruise. But there is a downside to the convenience. This ship sails across Puget sound towards Port Orchard. Though the peninsula is a glittering site with a lot of dazzling ships and decorated waterfront homes, the ride itself can be incredibly rocky during winter. On one Christmas excursion, the water was so rough that passengers had a difficult time remaining upright and Santa turned green with a bout of sea-sickness. We’d recommend this voyage for the adventurous and not those traveling with small children or people with limited mobility. 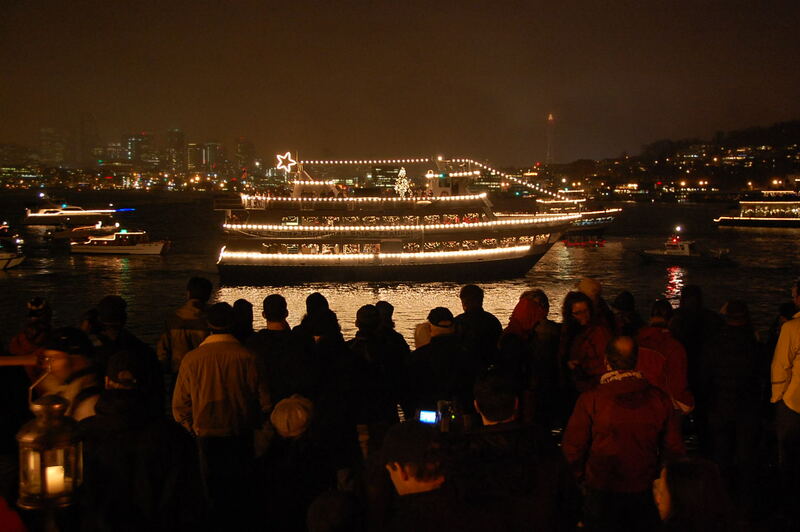 This is our favorite cruise of the Christmas ships as you get to go through the famed Ballard Locks while witnessing a crowd of festive gatherers dotting the shore. It’s a magical experience to go through the locks while the choir sings all the classic holiday songs. This is a great cruise for kids as the water tends to be on the smoother side. You board the ship at the Shilshole Marina which is about a twenty-minute uber ride from our Belltown and Downtown properties. If you are prone to seasickness or if boats aren’t your thing, you can also experience this spectacle on shore by going to the Ballard Locks. There you will see the Christmas ships come through the locks in all their infinite glory. 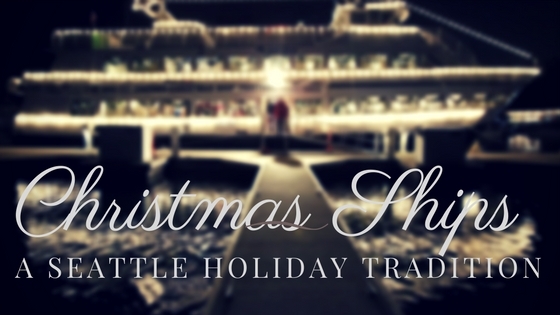 You’ll get to experience the lights and will be treated to a twenty-minute performance by the ship’s onboard choir. It’s best to dress warm and bring a blanket. For added festivities bring a thermos of hot cocoa or filled with a warm adult beverage!